The fifteenth and sixteenth-century houses of Morlaix, on the northern coast of Brittany, are unique. Wealth from the linen industry and maritime trade combined with traders' experience of Spanish homes in Cadiz to give birth to the maison a pondalez (gallery house), also known in French as maison à lanterne or lantern house. While a house arranged around an open central courtyard might be well-suited to southern Spain, it obviously needed some adaptation to the colder, wetter climate of northern France. There were also space limitations for Morlaix's terraced townhouses. The result was a house with rooms facing onto the street and further rooms at the rear; between them was a courtyard covered with a 'lantern'. This high central room had a large granite fireplace, while an oak spiral staircase and galleries linked the front and back rooms. 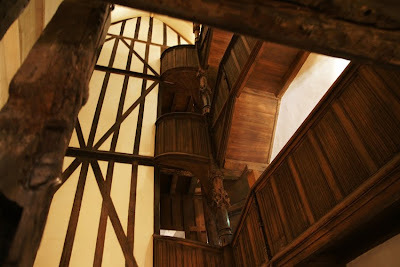 The pillar supporting the spiral staircase was usually richly carved. Some of these houses were also shops: the front room on the ground floor would be the commercial premises; the higher rooms, back of the house and courtyard were the private residence. Two traditional houses survive and are open to the public. I visited one of these, on the inaptly-named Grand'Rue. It is actually very narrow, and now pedestrianised; there is even less space between the overhanging upper floors of the buildings. 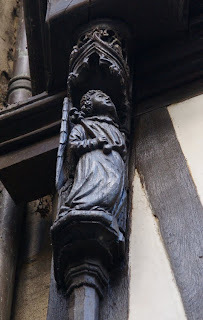 However, most are enhanced by wooden carvings, often of saints. 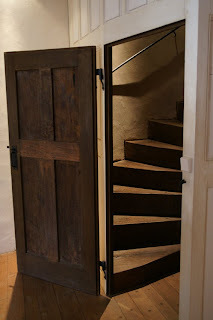 They are perhaps the best exterior clue to the extraordinary oak-and-granite interiors hidden within. Further reading: the other house open to the public, La Maison de la Duchesse Anne, has an interesting site with a great deal of historical detail about these houses. There are often quirky displays at Brittany's farming festivals. On Sunday at Plouguenast, there was a collection of old phonographs including an early Dictaphone. A far cry from today's tiny voice recorders, this hefty device included a long tube down which to speak. The groundwork for dictation machines had been laid by Edison, who invented a method of recording voices onto tinfoil discs. He saw business dictation as its main application (rather than the music recordings which would soon dominate the industry). However, tinfoil cylinders were difficult to use: the move to recording on wax made such devices much more practicable. Patents for the new wax technology were granted to Alexander Graham Bell's Volta Laboratory in 1886. Dictaphone was originally part of the Columbia Gramophone Company, known today as Columbia Records, although it separated from them in 1923. From the Dictaphone's launch in 1907 until the introduction of new technology in 1947, the device recorded voices onto wax cylinders - long after discs became more popular for reproducing music. 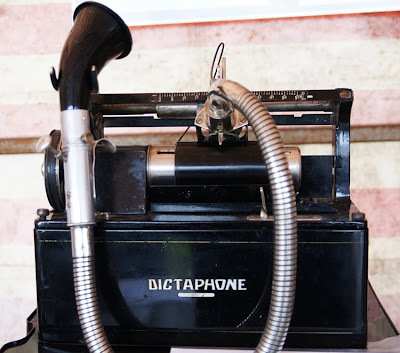 The bulk and expense of Dictaphone's early equipment perhaps explains why many business people preferred to dictate to a shorthand secretary for some decades to come. Only with the much later development of light, inexpensive equipment which allowed easy dictation both inside and outside the office did the shorthand notebook begin to gather dust. 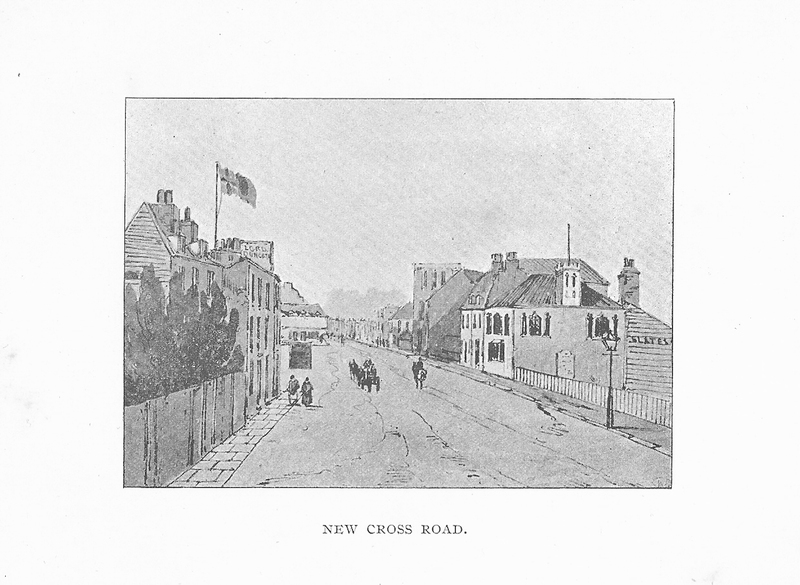 Deptford has a little-known place in legal history. A horrific crime on the High Street led to the use of a then-novel form of evidence. Early on Monday, 27 March 1905, 70-year-old Thomas Farrow was found dead in the oil and paint shop he managed at 34 Deptford High Street. He had been killed by half a dozen blows to the head, inflicted with a blunt instrument. His wife Ann was unconscious in the bedroom with similar injuries, and would also die five days later. There was a clear motive for the murder: every Monday morning, the owner would visit to collect the week’s takings of about £12. Sure enough, the cash box was empty – except for a dirty fingerprint. Witnesses had recognised two brothers, Alfred and Albert Stratton, at the scene of the crime around the time of the murder. The evidence against the Stratton brothers was circumstantial: mainly that they had been seen leaving the shop at about 7.15 on the morning of the murders. (There was also a questionable confession from Albert to a gaoler). However, towards the end of the trial came evidence from Detective Collins, the Met’s expert witness on fingerprints. I have been employed in connection with the Finger Print Department since the formation of the finger print system in 1901—previous to that I was employed for two or three years on the anthropometric system, which was a system based on certain body measurements and embodied for part of the time finger prints—I have studied the works on the subject by Mr. Francis Galton and Mr. Henry—so far as I know, those are the only works on the subject of finger prints—at Scotland Yard we have now between 80,000 and 90,000 sets of finger prints, which means between 800,000 and 900,000 impressions of digits—in my experience I have never found any two such impressions to correspond—in comparing the impressions we proceed to classify them first by types and sub-types, and then by counting and tracing the ridges—that is when we have complete prints of the whole finger; we then compare what are called the characteristics—in my experience, if the type or sub-type or the number or tracing of the ridges differ, they cannot be the prints of the same finger—if those matters agree we then proceed to compare the characteristics—in my experience, the highest number of characteristics which we have ever found to agree in the impressions of two different fingers is three —that occurred, to the best of my belief in two instances; it may have been three, but not more—we have never found as many as four. He then explained how he had matched the bloody fingerprint to Alfred Stratton’s right thumb. There were eleven matching characteristics and no differences, so he concluded that ‘from my experience I should say that it is impossible that those can be prints of two different digits’. Unsurprisingly, such controversial new techniques did not go unchallenged. The defence were advised by Henry Faulds, one of the pioneers of fingerprint identification: while convinced of the value of fingerprints, he disapproved of the way Scotland Yard used them, particularly in basing identification on a single print. They called as a witness Dr Garson who had been employed by the Home Office to organise the identification system (when it used a whole range of anthropometric measurements; it moved to fingerprints alone in 1901). Garson testified that he had had Inspector Collins as a pupil in one of his classes. He then went on to present an analysis of the fingerprints in the case, suggesting that in fact there were significant differences between Alfred’s and the one found on the cash box. However, his evidence was clearly less compelling than that of Inspector Collins (it didn’t help that he had written to both sides offering to give evidence for them): the brothers were found guilty of murder and executed. Faulds’ doubts did not disappear after the trial. He felt that fingerprints had their place in record-keeping: one full set of prints could be matched to another to confirm a prisoner’s identity, but that was a very different thing to using latent prints for identifying criminals. 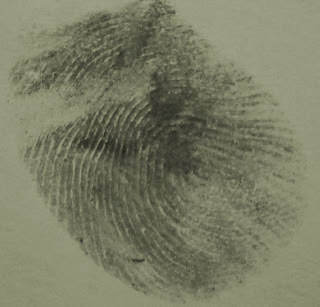 (Unlike prints carefully taken in ink at the police station, latent prints are often incomplete, distorted or unclear). In particular, he believed that Scotland Yard’s ‘experts’ were unscientific. That same year, 1905, he complained in a pamphlet that identifications were made by ‘subordinate officials untrained in scientific observation.’ More fundamentally, he pointed out that it was assumed but had not been proved that no two fingerprints were alike (in fact, it still hasn’t been proved). However, such doubts did not prevent fingerprint identification from growing in importance, and it remains a significant form of evidence in the criminal courts today. * Fingerprints had been used in a trial for the first time three years earlier, when Harry Jackson was convicted of burglary after leaving his fingerprint on a newly-painted windowsill. 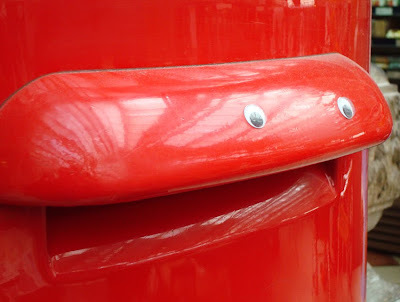 Is this postbox, in Waterloo Station, London's friendliest? After spending last week looking at the Festival of Britain, I enjoyed watching these film clips which show London in the same period as it left the 1940s. The first is a tourist film, which covers the usual attractions but also mentions bomb sites near St Paul's and has transport and dress now long-gone. The second shows daily life away from the tourist sights. It was filmed in St John's Wood in the late 1940s. The programme has now been released for the inaugural Lewisham Literary Festival. It runs from 9-16 September, in various venues around Hither Green and Lewisham, and aims to be "less 'literary' and more 'festival'". There is a huge range of authors and activities. The festival opens with a book swap, and continues with plenty of fiction, non-fiction, poetry and children's events. I'll definitely be going to a few, and I should think there's something for most tastes. See the full programme here. Finally, if you're a budding poet aged 14 or under you may want to enter the poetry competition. 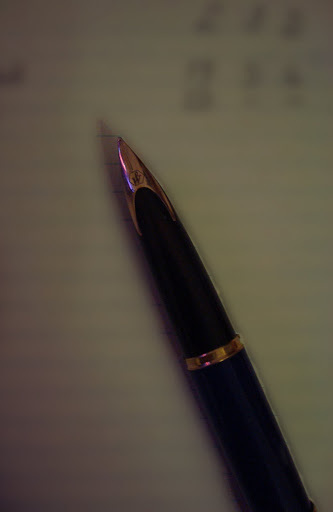 Submissions in any format on the theme 'Lewisham' will be judged by a panel of poets. This sign in Harrogate is fairly obviously for Oxo stock cubes. On a closer look, it is actually a palimpsest: the large 'Oxo' has been painted over an earlier advertisement which included an image of the box. On the side is their slogan 'it's meat and drink to you'. 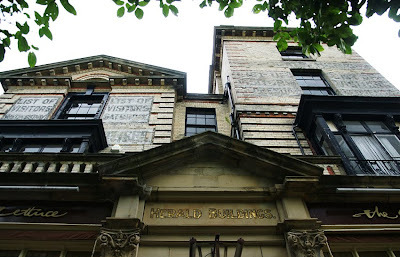 Look up, and there are fainter traces of another advert for Harrogate Carriage Co. This company was acquired by Harrogate & District Road Car Company in 1924. 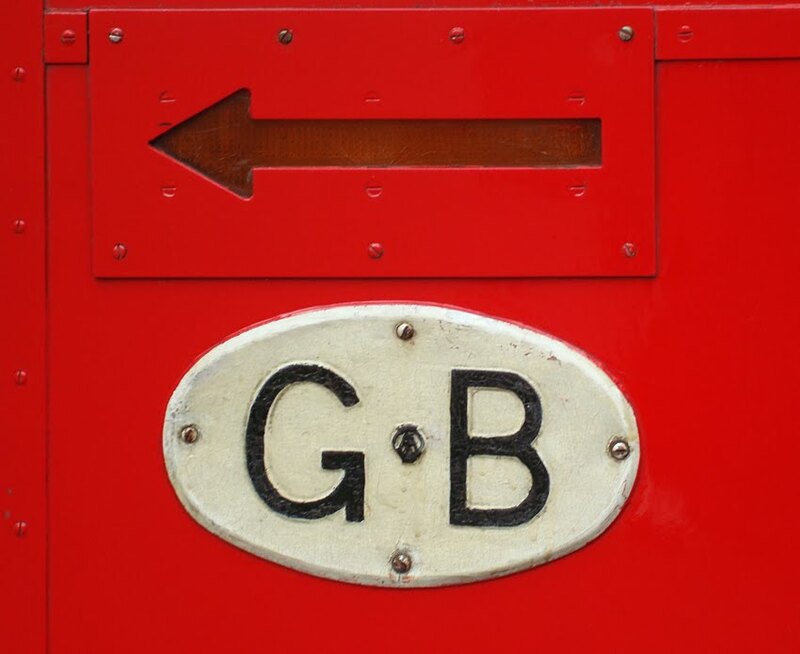 Despite the less-than-snappy name, you may not realise that what they actually did was own buses (originally steam buses). It's not clear whether the name changed in 1924, but following a merger with a Bradford company in 1928 they became the West Yorkshire Road Car Co. By 1932, subsidiaries such as the Harrogate & District Road had been fully incorporated into it. Since I originally wrote this post three years ago, the bridge pillars I consider here have been promised a new neighbour. Work is well underway on the new Blackfriars Station, which will stretch across the Thames - but an artist's impression shows that the pillars will remain as a curious anomaly alongside. Just alongside Blackfriars Bridge is a series of pillars, ending with a rather grand crest and the name 'London, Chatham and Dover Railway'. Every time I've done a tour of London, the guide has offered a different explanation - most often they seem to think that the bridge was never finished. However, the bridge was in fact completed and opened in 1864 to take trains to St Paul's Station - now Blackfriars Station. From the 1920s, use of the bridge declined as much of its railway traffic moved to other stations. Finally, it was too weak for modern trains and the decision was taken to dismantle it as recently as 1985. Since removing the pillars risked destabilising the neighbouring Blackfriars Road and Railway Bridges, they remain in the river to mystify passers-by. Dodgy bridges weren't the railway's only problem: it was also known for its poor carriage stock and poor punctuality. Its absorption into a new company in 1923 was therefore perhaps a welcome change! In fact, it had already effectively gone through a merger with its competitor, the South Eastern - which ran trains through Deptford - in 1899. However, to avoid paying the stamp duties a proper amalgamation would have incurred, the companies remained separate but were both governed by one Managing Committee which directed them and pooled their incomes. This tax-avoidance scheme remained in place for 24 years until the two railways, the Managing Committee, and various other lines formed the Southern Railway. As the Museum of 51 highlights, a massive range of souvenirs were sold at the Festival of Britain. One of the most popular was the Festival Crown, a five-shilling coin specially produced for the event. Two million were struck; I'm lucky enough to have one, brought back as a memento by my mother. The first English Silver Crown piece was minted in 1551. 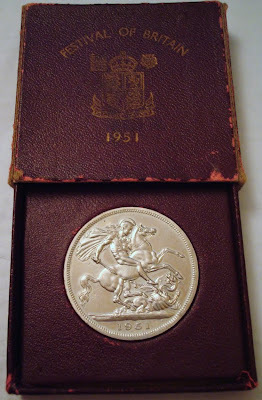 Four hundred years later, on the occasion of the Festival of Britain, the Royal Mint has issued a Crown piece, bearing on its edge the Latin inscription MDCCCLI CIVIUM INDUSTRIA FLORET CIVITAS MCMLI - 1851 By the industry of its people the State flourishes 1951. If the change from silver to base metal seems a status drop for the crown, it's no worse than a much earlier change. Henry VIII introduced the crown coin in 1526, when it was made in 22-carat gold. However, as the leaflet explains, it became silver 25 years later. Because of its large size, the crown fell out of common use: generally it was struck as a commemorative coin. The last crown was minted in 1965; six years later, of course, decimalisation meant that crowns ceased to be part of our currency. Commemorative coins of equivalent value (25p) were later issued, but inflation has struck and now £5 coins are minted instead. My mum was among the millions who visited the Festival of Britain. Aged six, she travelled up from south Wales and still has vague memories of looking around various exhibits. However, what has really stuck in her mind as a magical experience was her visit to the Pleasure Gardens in Battersea Park, a shuttle-boat away from South Bank. 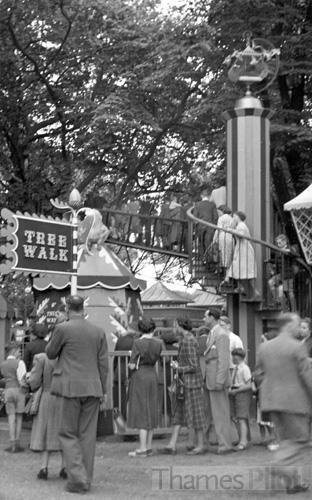 There were all sorts of attractions in the park including a funfair, Far Tottering & Oyster Creek Branch Railway and the Guinness festival clock. Mum's main memory, though, is of the Tree Walk, an elevated wooden pathway through the treetops. She first walked it by day, and again at night when it was transformed by lights and 'like fairyland'. I an delighted to see the Tree Walk so often mentioned with pleasure. My husband was the Structural Engineer who aided James Gardner in the design of this. When it was erected, some official remarked that it looked thoroughly unsafe. My husband knew better and to prove its strength, sat on a chair under the tree walk while a test load of 8 tons of bricks was loaded on to it. He invited the official to join him but the offer was declined! The estimates of cost are not worth the paper they are written on. Everyone with any experience must know that there will be a large excess over the estimates, especially if the Government is known to be standing behind the scheme. I feel in my bones that this is not the sort of scheme which Government in this country can make a success of. The scheme was therefore scaled back to one season; there was opposition to cutting it altogether for fear that would make the Festival too high-brow and the South Bank too crowded. Unsurprisingly, costs nonetheless soared. The gardens opened nearly four weeks late, at the end of May 1951 - and fortunately were a huge success. Six million visitors had been expected; eight million actually turned up. It was agreed that the gardens would stay open for three years, continuing until 1953 for the Coronation. After that brief, shining season, things went wrong once more. 1952 saw a huge drop in visitor revenue, and despite a cut in admission prices 1953 was even less successful. The gardens closed and Battersea Park was reinstated, although the council kept a few features and a small funfair. Since they received money from the government for reinstatement costs and were able to lease out the fair, the council were happy - but the Treasury was not, having lost £1.25 million. The funfair continued for many years. Tragically, the Big Dipper finally closed in 1972 following an accident in which five children were killed. The rest of the fair closed two years later. Images of the Tree Walk from Wandsworth Council, via ThamesPilot which has more images of the Festival Gardens here, and BBC London's slideshow here. For most Londoners, the 1951 Festival of Britain is intimately associated with the South Bank complex, so it's appropriate that a temporary museum of the event is inside the Royal Festival Hall. However, one of the most striking things a visit demonstrates is that the Festival extended far beyond this one site. There were Festival Gardens in Battersea, exhibitions in the Science Museum and V&A, and a 'Living Architecture' walk around East London - with a new housing estate finished just in time. Outside London, associated exhibitions were held in Edinburgh, Glasgow and Belfast and travelling displays toured by lorry and ship. All that potential travel apparently posed a social dilemma. 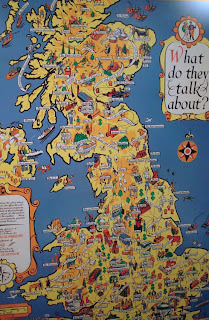 Among the more bizarre displays in the Museum is a reproduction of What do they talk about?, a map of suggested conversation topics around the UK produced by the Geographical Magazine and Esso. It advises talking about 'the mill' in Yorkshire, 'the pit' in South Wales and 'hoppers and pickers' in Kent. The displays take us through some of the Festival events, a model of the South Bank's Festival complex complete with Skylon, and recreations of 1950s rooms. I particularly enjoyed the cases of souvenirs of all shapes and kinds. A short visit to the museum will suffice for most people, but it does offer a real insight into what was so exciting about this concreted bit of London in 1951. 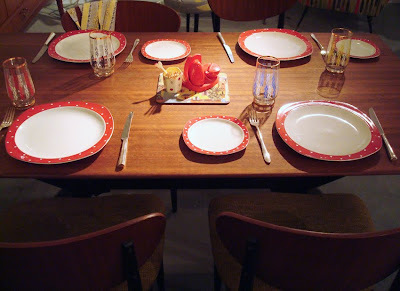 Practical info: Museum of 51, Royal Festival Hall, South Bank is open until 4 September. Admission free. 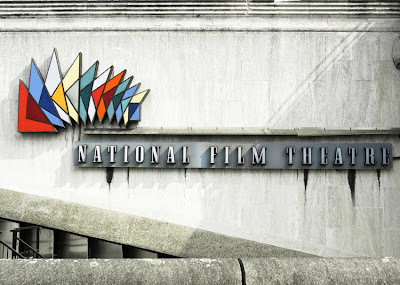 The best-known London architecture from the early 1950s is probably the Festival complex on the South Bank. 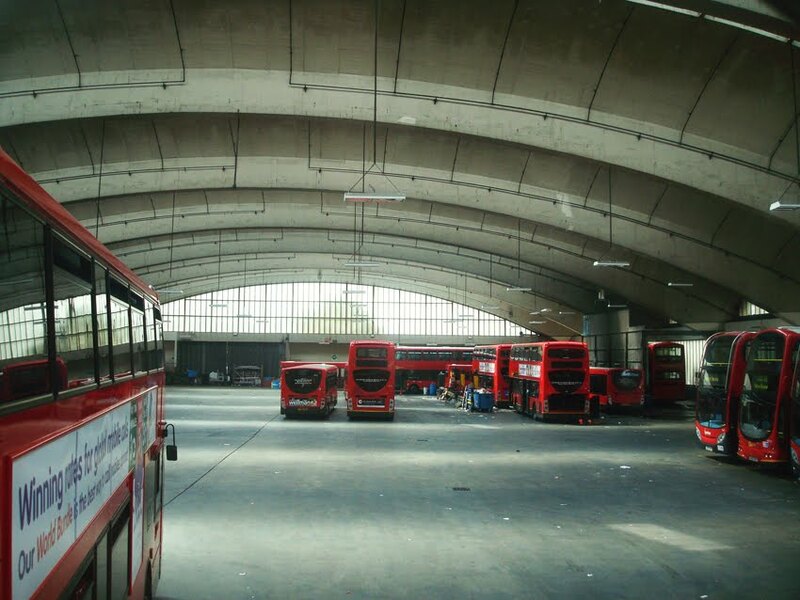 However, they were just one example of concrete buildings from the period; our mystery tour took us to another, Stockwell Bus Garage. A key reason for concrete's popularity was that following the Second World War, more traditional materials (especially steel) were in short supply. The architects Adie Button and Partners and engineer AE Beer rose to this challenge with flair and imagination: the huge space is supported by arched concrete ribs, making it the largest unsupported area in Europe at the time of building. Between the ribs, skylights throw subtle light onto the vast space below. In 1988, Stockwell Bus Garage was listed at Grade II*; Will Self has argued that it is London's most important building. While I wouldn't go that far, it is certainly an elegant response to post-war shortages. The exhibition and its festivities would pass into history, most of what was shown would be dispersed, its celebrations would become only memories. But the concert hall would remain and around it would rise buildings worthy to take their place with the best of old London and form part of the replanned London of the future. 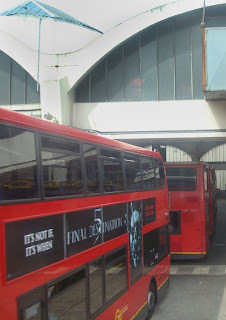 One wonders if they imagined a bus depot such as Stockwell Garage. 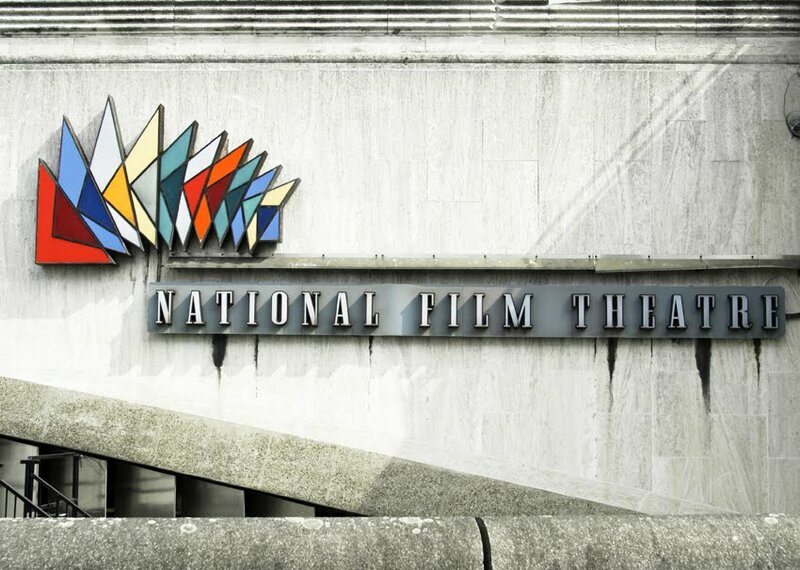 It's the sixtieth anniversary of the Festival of Britain this year, and its most lasting legacy - the South Bank Centre - is hosting various events to commemorate this. 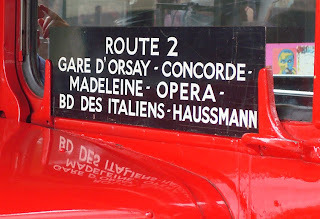 At the weekend, I was lucky enough to join one of them: a mystery tour on a vintage bus. When they started their original tour in Oslo, only one of the four buses was designed to carry passengers. It gave free rides in the towns they visited, while the interiors of the other three held exhibition spaces and a very sleek and stylish staff space: although the seven men stayed in hotels, this area functioned as a sort of staffroom. Works foreman Frank Forsdick was in charge of four drivers (who were also engineering staff), an electrician and a mechanic. The convoy visited Norway, Sweden, Denmark, Germany, Holland, Belgium, Luxembourg and France. Thousands of visitors came on board: 62,750 in France alone. Amazingly, none of the buses suffered mechanical problems during the journey. 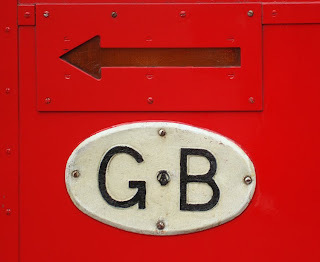 After their 4,000-mile foreign trip, the buses returned to normal service - although they kept their 'GB' plates as a reminder of the overseas adventure. 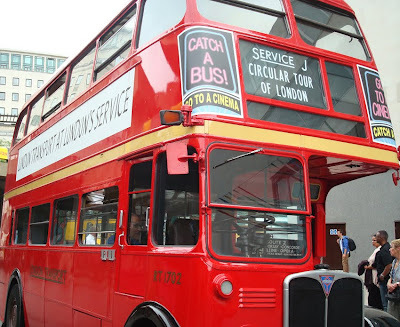 There were a few breaks for special circular tours of London during the Festival, but otherwise RT1702 worked as an ordinary London bus until it was retired in 1972. Three London Transport employees then bought it, and the 1702 Preservation Society has been keeping it on the road ever since. This weekend, it once more fulfilled its original purpose of drawing attention to the Festival of Britain. Further reading: IanVisits also took the tour. The Royal College of Surgeons' Hunterian Museum lost many of its exhibits thanks to a World War II bomb. Among these was the skeleton of a once-beloved London elephant who suffered a miserable death. Where the Lyceum Theatre, home to the Lion King, now stands was once Exeter Exchange Royal Menagerie. I heard the story of its most famous inhabitant, Chunee the elephant, and his gruesome death from Chris of One Eye Grey on a walking tour of the Strand area. Chunee was the star of the menagerie: according to Lord Byron who visited in 1813, he 'took and gave me my money again—took off my hat—opened a door—trunked a whip—and behaved so well, that I wish he was my butler.' By the time he came to Exeter 'Change he was well used to being the centre of attention, having appeared at the Theatre Royal before the menagerie bought him. On Sundays, he would be taken for a walk along the Strand. However, the hitherto friendly and docile elephant became decidedly grumpy when he developed a rotten tusk. In February 1826, Chunee killed one of his keepers during their weekly walk. It was decided that he had to be put down, and one of his surviving keepers tried to feed him poison. However, Chunee was obviously suspicious and refused to eat it. Macabre scenes then followed: soldiers with muskets came from Somerset House and shot at Chunee while, at his keeper's command, he knelt down. 152 musket balls were not enough to kill him, and his life was finally ended by a sword. The cage floor was deep in blood. His carcass was dissected in public by surgeons, his skeleton exhibited at Piccadilly's Egyptian Hall (later moving to the Royal College of Surgeons, where it was destroyed by a bomb in World War II) and his hide sold to a tanner for £50. These horrific events led to public outrage and the transfer of the menagerie to Surrey Zoological Gardens. There was even a play dramatising the events at Sadlers Wells. One reaction has left a lasting legacy for captive animals and the city: the Zoological Society of London was formed and still operates London Zoo today, offering far better conditions to its animals than those experienced by the Exeter 'Change menagerie. Image: cartoon of Chunee's execution, 1826, from wikipedia. No one is quite sure why an apprentice printer was called a printer's devil, although there are a number of theories. Perhaps the most popular is that of the devil who lurked in every printer's premises, inserting errors into the type; when they weren't blaming him, more senior printers would blame the youngest apprentice instead. 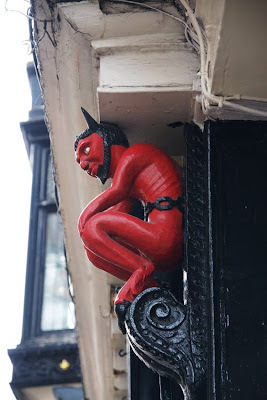 The printer's devil takes a more literal form in this carving on a former printer's shop in Stonegate, York. If there are any typos in this post ... blame him! The popularity of such visual signs is often connected to illiteracy, but both this and another of Minerva remind us that there were other reasons too. Minerva, goddess of wisdom, sits leaning against a pile of books with her owl at her elbow. 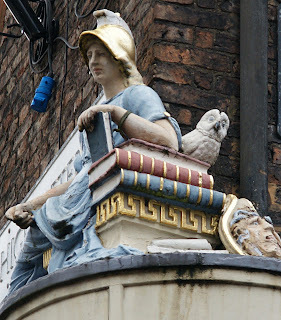 Both books and owl remind us that she was goddess of wisdom and drama: hence her place on High Petergate, once known for its bookshops. It is likely that most customers of both printers and booksellers could have read textual signs (although their servants might not), but these conspicuous carved figures were especially useful before buildings were numbered. Addresses could be given as, for example, 'at the sign of the printer's devil'. The carving was also an advertisement and a way of catching the pedestrian's eye, just as barber's poles continue to be today. If you made a visit to the fashionable spa town of Harrogate, you would want to know who else was in town. (Good company might distract you from the taste of the water!) If you were one of the businesses serving those taking the waters, you would want to advertise the high-toned visitors to be met there. And if you were an enterprising newspaper publisher, you could keep both groups happy by publishing regular lists of visitors. 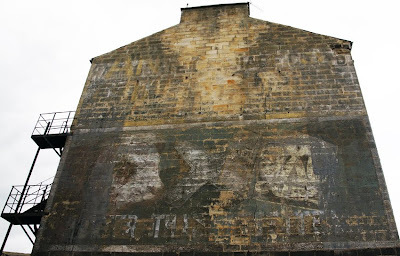 That's just what these Harrogate ghost signs are advertising. Above the former offices of the Harrogate Herald, now a pub, are painted signs promising 'List of visitors Wednesday' and 'Saturday'. 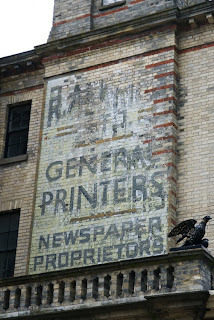 To the side, the company name (R Akrill) is now illegible; they were also 'general printers'. 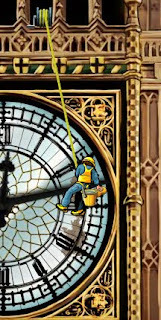 If you want a few minutes' London-themed silliness, why not try Race Against Chime? In this game on the Parliament website, you clean the face of Big Ben and answer a few questions about the bell and clock along the way. Just the thing for a coffee break. This morning, London's attention turned to clearing up the mess left by riots. Many volunteers have brought gloves, binbags and brooms to affected areas, a welcome reminder that most Londoners do value their city. Much of the clearing up, though, was done by the professionals employed by our local councils. By lunchtime, Deptford's most-photographed car had been hauled onto a truck and taken away. Less obviously, road sweepers swept up litter and broken glass, so that for a few hours at least our streets were usable once more. We usually take swept streets for granted. We may complain that people drop litter in the first place, we may grumble about the time the council takes to clear it up, but we expect it to disappear within a reasonable time. However, in the nineteenth century, the people who cleaned the streets were much more visible. The crossing-sweeper in particular was a periodic focus of public discussion. London's roads not only had litter and dirt; they also had plenty of horse manure. 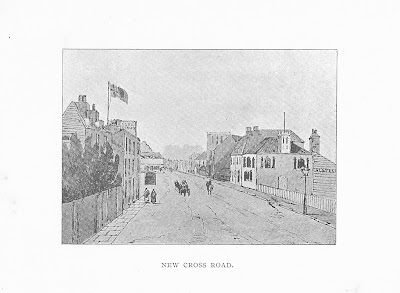 Crossing the street could therefore have been a deeply unpleasant experience, especially in the days before tarmac, but it was usually made more tolerable by the crossing-sweeper who would clear a way across. Many of us probably have a Dickensian vision of a waif with a broom, but people of all sorts and ages might take up this work. The indefatigable Henry Mayhew categorised them into three groups: juvenile, afflicted or crippled, and able-bodied. The third category was further divided, oddly, into male, female and Irish. He also distingushed between the casual and the regular crossing-sweeper. The crossing-sweeper and street-orderly are now gone from our streets, but the need for someone to clean them has not disappeared. We are no longer expected to tip those who sweep our roads, but we still owe them our thanks. Whether there's more violence or not, the road sweepers will be busy making London a much nicer place. 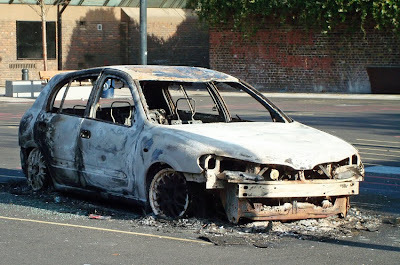 It's impossible to be anything other than miserable about the current London riots. Whatever the causes and context might be, the worst results are being felt by local people themselves. However, there may be a sort of comfort in remembering that London has a long history of surviving riots: here are a few now largely forgotten. 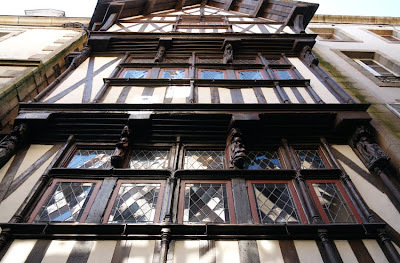 It was apparently a tradition for London's apprentices to attack bawdy houses on Shrove Tuesday. (A reminder that tradition is not always a good thing.) In 1668, these attacks erupted into five days of unrest. Up to 40,000 rioters were involved and the disturbances stretched from Poplar to the West End. Fifteen of those involved in the Bawdy House Riots were convicted on charges of high treason, perhaps inspired by the increasingly political slogans of the rioters; four of them were hung, drawn and quartered. Deptford saw violent unrest about dockyard chips in 1786 - these were offcuts of wood the dockyard workers were allowed to take home. It proved to be a rather expensive perk, since 'chips' could be up to six feet long. When the dockyard bosses tried to end the perk, workers were so angry that first one party of soldiers, then a second, and finally 'all the troops from the Savoy that could be spared' were needed to restore peace. In 1809, the Old Price Riots lasted for several months - triggered by a rise in the price of theatre tickets. On the first night, calling in soldiers and police only inflamed the situation; protests then continued nightly but were apparently largely good-natured with little damage to property. (The frugal rioters took to arriving at the theatre only for the second half of the performance, when prices were reduced.) The protests only ended when theatre manager John Kemble reduced ticket prices to their old levels and apologised. The March 1919 Battle of Bow Street saw large numbers of American, Canadian and Australian servicemen fighting the police following an attempted arrest over a game of dice. Canadian soldiers, unhappy at not having returned home many months after the First World War had ended, would riot again at Epsom on 17 June, killing a police officer. Perhaps this long and varied history (there's a fuller list here, including many much better-known) will also remind us that the causes of and solutions to riots can be too complex for instant answers. For the moment, let's just hope that London soon becomes calm and safe again. While England's first women solicitors and barristers qualified in 1922, it was in 1799 that a Frenchwoman first argued a court case. The circumstances were exceptional, however; it would be 1900 before women were able to act as lawyers again. In discussing the extraordinary gravestone of George Taylor, pugilist and master of the cross-buttock throw, I mentioned his dispute with fellow prize-fighter Jack Broughton. The latter's career was even more notable, for he was the first person to formulate boxing rules. Fed up of working for Taylor, who stole much of his glory despite being the lesser fighter, Broughton opened his own amphitheatre. Thanks to wealthy backers including the Duke of Cumberland, he was able to offer more luxurious surroundings than had previously been available to fight fans. However, the sport itself was unregulated and highly dangerous: fighting was bare-knuckled, supporters liked to see plenty of blood, and contests involved plenty of wrestling and dirty tactics as well as the punches we now associate with boxing. Rules were sometimes imposed, but they varied from match to match. Broughton was a tall, large and muscular man. Before turning full-time to prize-fighting, he had been a waterman and won Doggett's Coat and Badge Race in 1730. That power and strength generally served him very well in the boxing ring but when he fought George Stephenson in 1741, his opponent died. That fatality appears to have been the motivation for Broughton to set out rules for fights in his amphitheatre. They were generally adopted in the city, and later formed the basis of the London Prize Ring Rules which governed matches until the Marquess of Queensberry Rules came into force. Broughton's rules included prohibitions on hitting a man while he was down or seizing him below the waist. A man who failed to rise within half a minute was considered beaten. Nonetheless, this was still bare-knuckle fighting which allowed a range of moves now forbidden. The sport existed in a context of incredibly brutal entertainment: Broughton's amphitheatre was also the venue for contests using weapons and for bear-baiting. His other contributions to the game include the introduction of boxing gloves (for his gentleman pupils, not for prize fights) and a more scientific approach to the sport. He continued teaching until at least 1787, when he was in his mid-eighties, and died in 1789. Broughton's resting place is rather more prestigious than that of his old colleague and opponent George Taylor: he is buried in Westminster Abbey. However, he had similar issues with his gravestone: the epitaph he had chosen, 'Champion of England', was considered unsuitable and was only added in 1988 (with the additional word 'prizefighter' clarifying it). Image: drawing of Jack Broughton by Marquess Townshend, from Wikipedia. The castellated looking building on the right was occupied by a Monumental Mason, and the gravestone shown against the wall was originally intended to be placed in the Churchyard of St Paul to the memory of, at that time, a noted pugilist, but the inscription was such, that the erection on its proposed site was prohibited by the Rector and his Churchwardens. The inscription was of such a nature that it was an attraction for a considerable distance round. The reader is left wondering what the inscription was - but the answer is perhaps even more extraordinary than you might imagine. The pugilist was George Taylor, prize-fighter, manager of the Tottenham Court Boxing Booth and owner of a self-defence academy for gentlemen. In retirement, he was landlord of the Fountain Inn, Deptford. However, he still couldn't resist a challenge, and in 1758 he fought Tom Faulkner whom he had previously beaten twice. It was third time lucky for Faulkner: Taylor was defeated after a long fight, his pride as hurt as his body, and died a few months later. Taylor may have personally known William Hogarth, who was the designer of the scandalous headstone. How to commemorate this prize-fighter? In life, Taylor had never been shy of attention, however unwise it might prove (his earlier claim to be 'champion' had caused his star employee Jack Broughton - who had beaten him - to leave and set up a rival establishment next door; it would force Taylor's booth to close). It's apt then that Hogarth went for a bold approach: his drawings are titled 'Death giving George Taylor a cross-buttock' and 'George Taylor triumphing over death'. The cross-buttock was a move for which Taylor was renowned, which involved holding the waistband of the opponent's breaches with his right hand and the right shoulder with his left hand, then throwing him over his right hip and buttock head-first. Despite the element of religious allegory involved in the designs (see 'Taylor triumphing' here on the Tate website and the 'cross-buttock' here), it is perhaps unsurprising that the authorities were not eager to have the cross-buttock immortalised in St Paul's. 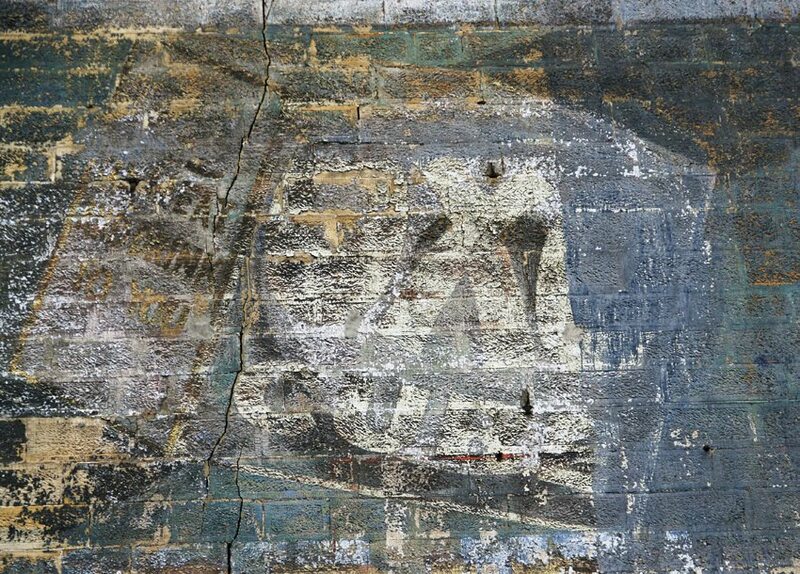 It's a real pity though, not least because Deptford lost the chance of its very own Hogarth illustration. 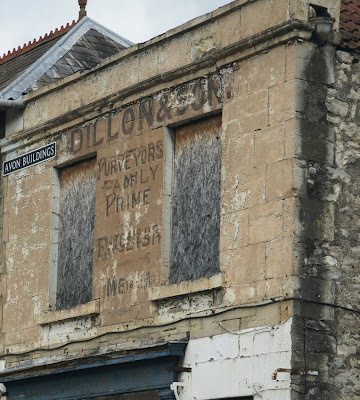 I really like the lettering on this ghost sign in Bath city centre, which is actually a palimpsest. 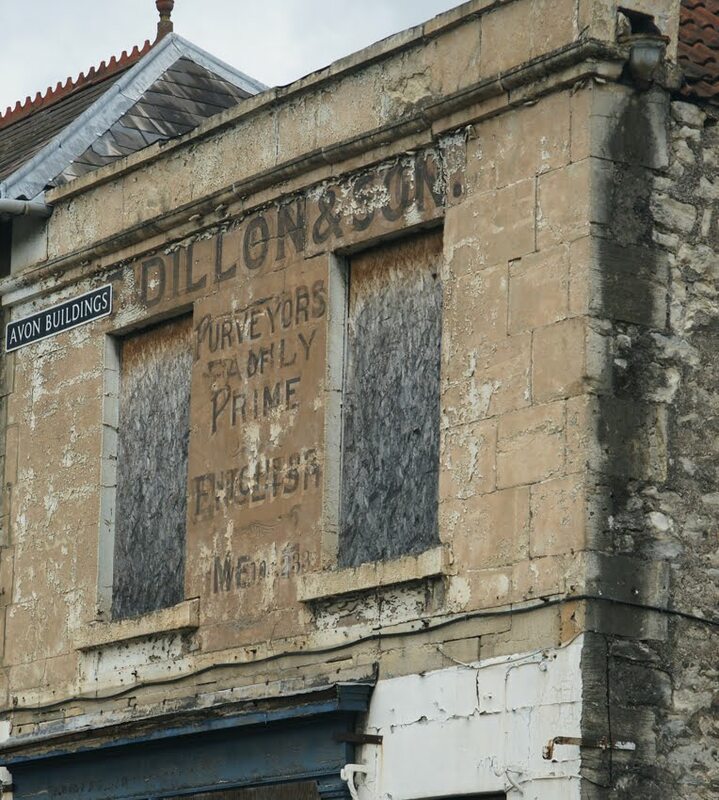 One advertisement read 'E Dillon & Son, Purveyors of Prime English Meat'. Underneath, the earlier version isn't very clear but included 'family butchers'. It's perhaps predictable, then, that this year's festival is bijou and compact. It does have a theme, rather than the vast and random spread of previous years; indeed, it has gone to the other extreme and the theme is 1951. Since events marking the 60th anniversary of the Festival of Britain have been underway for some time, it's hard to avoid the suspicion that this is another rebranding exercise. 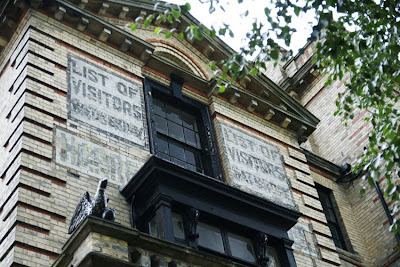 Still, as Londonist point out, it is good that as well as the Museum of London, five borough museums are also involved. For those who can't be bothered to travel, the festival ends with bite-sized versions of the events at the Southbank Centre on 28 August.